Out in the Silence is a powerful story that highlights the ability of film to spark much needed community conversations and dialogue. The film, set in a small American town, highlights the challenges faced by gay, lesbian, bisexual and transgender people in rural areas and what can happen when community members engage in respectful dialogue. We are pleased to have supported part of this film’s outreach and engagement work. There are many lessons that this project offers, some of which were discussed in Designing for Impact, a report by Jessica Clark and Barbara Abrash. We were particularly struck by what this project can teach us about the power of partnerships and the value of focusing on core audiences and goals. Out in the Silence captures the remarkable chain of events that unfold when the announcement of filmmaker Joe Wilson’s wedding to another man ignites a firestorm of controversy in his small Pennsylvania hometown. Drawn back by a plea for help from the mother of a gay teen being tormented at school, Wilson’s journey dramatically illustrates the universal challenges of being an outsider in a conservative environment and the transformation that is possible when those who have long been constrained by a traditional code of silence summon the courage to break it. The changes that occurred in Oil City during the making of the film inspired the directors to initiate the Out in the Silence Campaign for Fairness and Equality in Rural and Small Town America. The goals of this grassroots community engagement effort were to raise the visibility of LGBT people and their allies, open hearts and minds by building bridges across identity lines and religious divides, and influence policy and legislation on issues such as safe schools, relationship recognition, and employment non-discrimination. The underlying concept of the campaign was that the simple act of holding an Out in the Silence screening could help inspire, connect and mobilize LGBT people and their allies, particularly in small towns and rural communities. At the heart of the campaign was the dedication to the idea that small acts of LGBT visibility in places where they are rare and unexpected can help raise awareness and open-up dialogue in profound new ways, creating ripple effects and opportunities to organize for change. These core goals continue to guide the campaign. In addition to reaching audiences through its over 60 film festival appearances, the story reached over one million viewers through the film’s regional and national PBS broadcasts. It also reached thousands across the country through its community screening tours and often resulted in local action. For example in Oregon, the film reached over 1000 people through the screenings in small-town communities and inspired several communities to form new groups advocating for LGBT fairness for the long term, or to re-launch a group that had long been dormant. For existing groups, the tour brought in a holistic view of LGBT fairness & equality, including civil rights, marriage equality, but also safe schools, and tolerance in the faith communities. One group followed up on the tour by coordinating school-wide bullying assemblies in each of the four regional high schools. The tour also allowed groups to reach large audiences even in very conservative towns, and talk openly about issues that for many years have been dealt with quietly and at the margins. This model of audience engagement was repeated in small towns in each of the states targeted by the Campaign, helping to strengthen local efforts. It also helped to spur policy changes and initiatives in some cases. For example, in the Franklin Area School District in Pennsylvania, an ACLU lawsuit led to compulsory diversity training in schools. 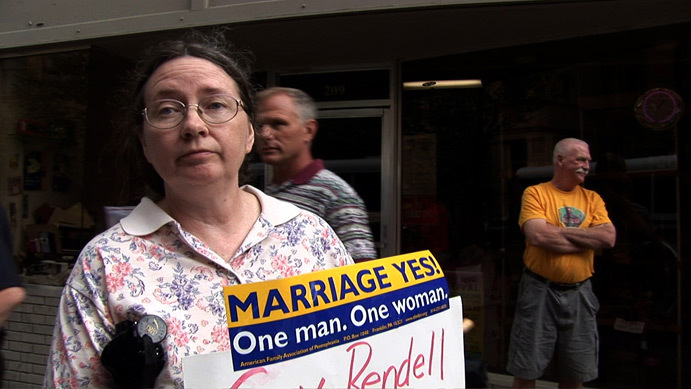 In Pennsylvania, the film also was used by a statewide movement to add LGBT protection to state and local anti-discrimination ordinances, as well as for a legislative campaign for employment non-discrimination, marriage equality and safe school bills. The campaign has become a valuable tool for national and grassroots organizations and has helped to mobilize and re-energize coalitions, initiatives and relationship building. 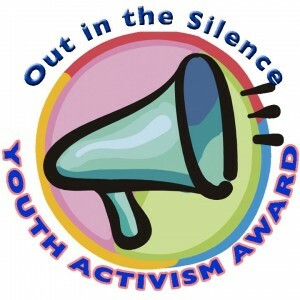 And through its youth activism award has raised up the voices of young people who are leading efforts for fairness, equality and safe schools. In 2010, 300 schools received a free screening package for the GLSEN Day of Silence, to conduct Break the Silence events. The Out in the Silence campaign offers many lessons but there are two in particular that we think are worth noting here. First, the campaign was true to its core goals of raising awareness about challenges that LGBT people face in rural communities and small towns and providing visibility to those who speak out. The call to action on the campaign website underscores this message: “Let’s go where the silence is and say something.” The campaign activities all reflect this message, and the project has brought this film where it was needed the most and provided opportunities for face-to-face relationship building and dialogue. The second important lesson that this campaign offers is the importance of partnerships with grassroots and national organizations. These partnerships, such as the one with the Rural Organizing Project and Basic Rights Oregon, provided important insight that shaped the work that the filmmakers did in Oregon. They helped the filmmakers organize a tour that reached rural communities that needed it the most, relying on the strength of the local relationships that the Rural Organizing Project and Basic Rights Oregon brought to the table. These organizations were able to use the screening as a way to energize existing local groups and spur the creation of new ones. Other partners offered similar expertise and knowledge providing the campaign with the opportunity to enhance the work of these organizations and embed the film into a larger movement for fairness and equality that is ongoing.